Barbara Park's New York Times bestselling chapter book series, Junie B. Jones, is a classroom favorite and has been keeping kids laughing--and reading--for more than twenty years. 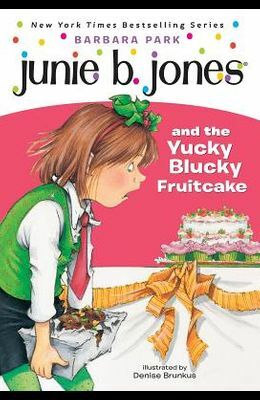 Over 60 million copies in print and now with a bright new look for a new generation Meet the World's Funniest Kindergartner--Junie B. Jones It's Carnival Night, and Lucille has already won a box of fluffy cupcakes with sprinkles on them. But when Junie B. wins the Cake Walk, she chooses the bestest cake of all--the one wrapped in sparkly aluminum foil. How was she to know it was a lethal weapon? USA Today Junie B. is the darling of the young-reader set. Publishers Weekly Park convinces beginning readers that Junie B.--and reading--are lots of fun. Kirkus Reviews Junie's swarms of young fans will continue to delight in her unique take on the world. . . . A hilarious, first-rate read-aloud. Time Junie B. Jones is a feisty six-year-old with an endearing penchant for honesty. From the front Cover I'm the bestest winner in the world! It's Carnival Night, and Lucille has already won a box of fluffy cupcakes with sprinkles on them. But when Junie B. wins the Cake Walk, she chooses the bestest cake of all -- the one wrapped in sparkly aluminum foil. How was she to know it was a lethal weapon?